A key feature of education at Tudor Grange Kingshurst Academy is the promotion of our students’ spiritual, moral, social and cultural development that will enable them to thrive in a supportive, highly cohesive learning community. This will help ensure our students are very well equipped for the next stage of their education, training or employment and ultimately progression into the wider community, be that at a local, national or international level. In conjunction with Solihull MBC, we remembered those who were persecuted and murdered because their lives were wasted. We asked ourselves what we should be doing today to build a safer, stronger society so that the building blocks of genocide, such as race hate, are removed. “Torn from home” was the theme for Holocaust Memorial Day 2019. The theme for HMD 2019 encouraged us to reflect on how the enforced loss of a safe place to call ‘home’ is part of the trauma faced by anyone experiencing persecution and genocide. 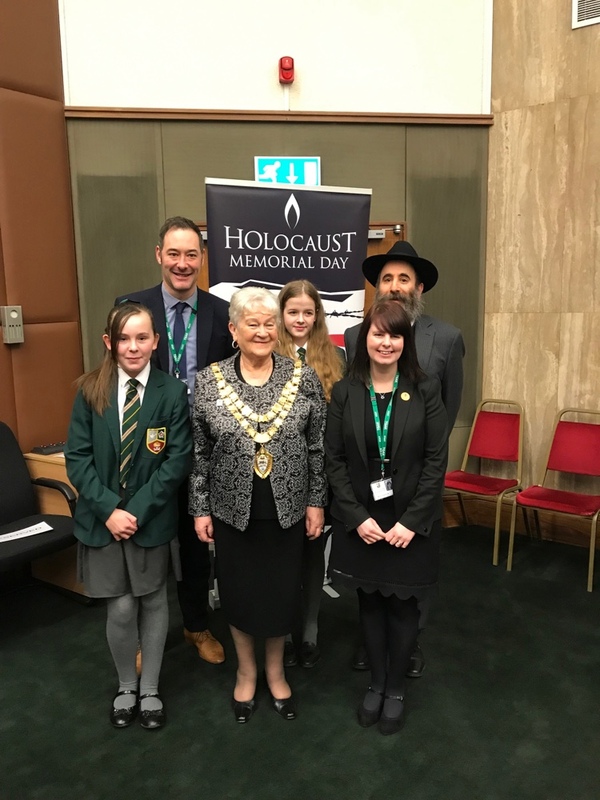 Two of our year 7 students wrote their own poems to support HMD in the Solihull Civic Suite and according to Flo Nash, Solihull Mayor, “The students were exceptional and did themselves and Solihull proud” .